As a profession we are way too cheap. We aren’t charging enough. Which is why every accountant and bookkeeper I speak to is telling me they are working long hours for too little money. We have to put the prices up. You can watch my video here, or by clicking the thumbnail below. Or if you prefer you can keep on reading. Existing clients know what you charged last year. They have a reference price. Let’s imagine last year you charged $2000. This year you know you need to put your prices up by 20% to $2400. 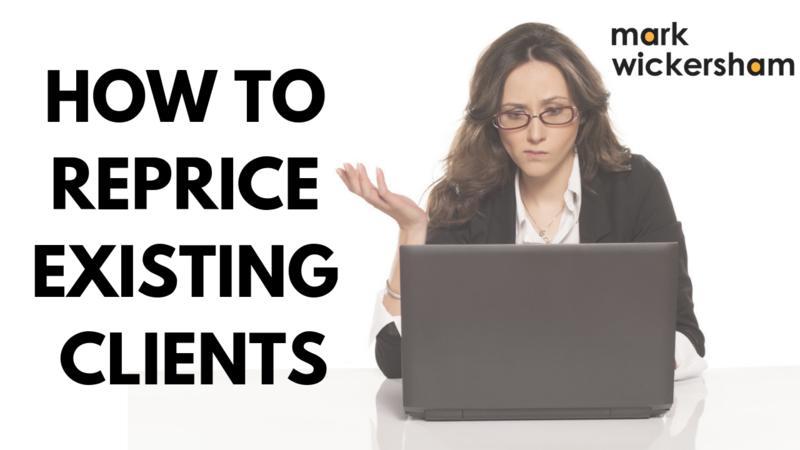 The first thing you have to do is make it more difficult for the client to compare the price to last year's by reframing it. We need to change the way we express the price. A strategy I use is called ‘chunking it down’, to avoid revealing a headline price. It’s easy to compare last year’s $2000 to this year’s $2400. But if we express that price as $200 a month, it isn’t a straightforward comparison anymore. Now you may think that the customer will simply do the maths and multiply 200 by 12, but the reality is that they generally don’t bother. Price psychology tells us that people don’t do the maths. It’s harder to compare last year’s price to this year’s in this new format. Whatever your service is you will have a bundle of stuff that you do. Change the package by adding something more to it. Make it different to what you did last year. Ideally, you need to be doing things that are of high perceived value to the client but low cost to you. That could be some valuable extra reports or it could be extra advice in your meeting with the client. The key is to make it seem different from last year’s bundle so that the client feels they are getting more stuff, and will therefore accept a higher price. The way you communicate your price, the phrasing and words you use, are critically important. You should really try and meet face to face, but if that is not possible writing is the next best option. 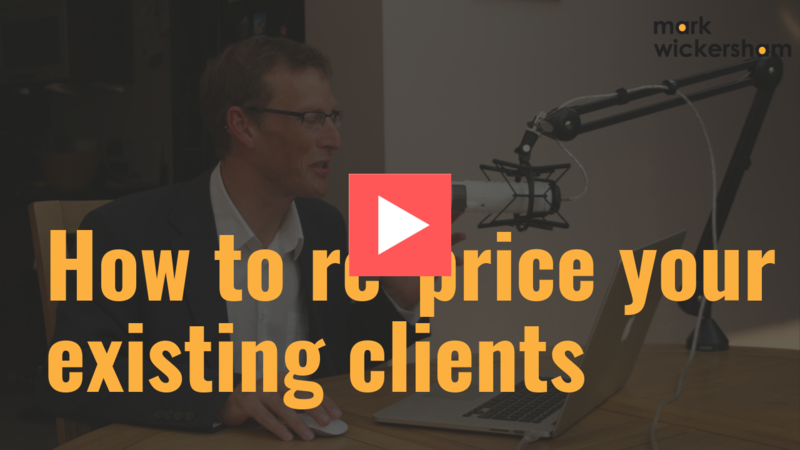 Either way, you need to explain that your price is changing, but in your communication, you should always focus on the benefits to the client not the price. Make sure you explain fully the benefits of what you do, what extra you are doing, and why those things make a difference to the client – to help them build a more successful business or save them time. Focus on the value, and the pain that you are taking away. Price will then become less of an issue. If you want to join a community of like-minded accounting professionals learning to price more effectively and confidently, you can join my Facebook Support Group here.